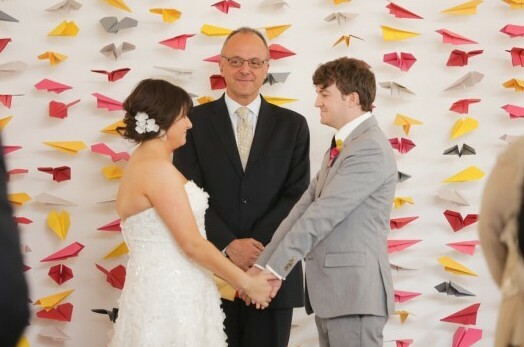 Fill a wall with different colors of paper airplanes and use it as a backdrop! See more photos from this wedding on the source. See this idea with one paper airplane hanging on each string.